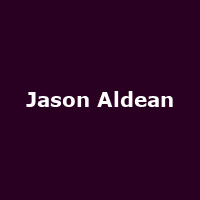 "Jason Aldean is one of America's most successful touring artists in any format. He has sold over nine million albums and has taken 13 trips to #1 on the American Country Radio charts. Each of Aldean's albums has been certified platinum and he was recently recognized by the RIAA as the Top Digital Male Country Artist In History with sales totalling over 21 million downloads. He is currently headlining his monumental Burn It Down tour which saw him play sold-out shows in the country's biggest amphitheatres and arenas. Two-time ACM Male Vocalist Of The Year Jason Aldean's latest and sixth studio album will be Old Boots, New Dirt."